The 200th anniversary of Fanad Lighthouse was marked yesterday in a small ceremony at the lighthouse. People gathered yesterday evening to countdown to the lighting of the lighthouse, 200 years after it was first lit on St Patrick’s Day 1817. The celebration will continue tonight with an already sold out event with a lantern parade with the Luxe Landscape Theatre Company providing spectacular illuminations and fire sculptures. 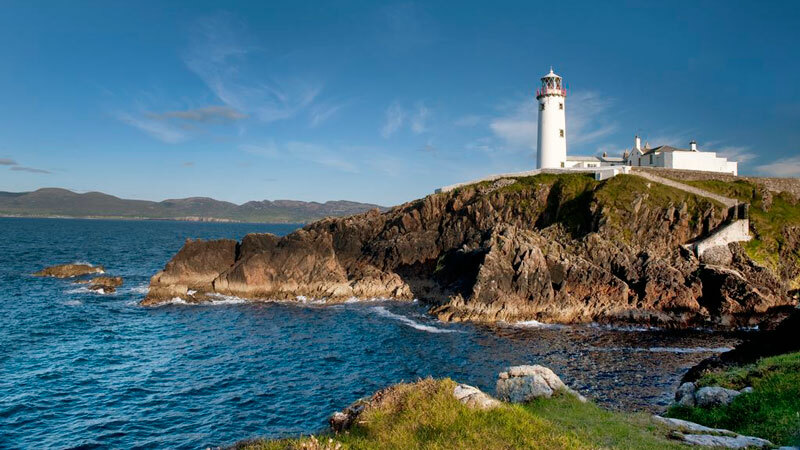 Fanad Lighthouse in Donegal is one of the 12 Great Lighthouses of Ireland, located on the eastern shore of the Fanad Peninsula, it stands watch over Lough Swilly and Mulroy Bay. The views from the point are spectacular and it’s a regular hangout for whales and dolphins. Back in 2013 the lighthouse was voted 2nd most beautiful lighthouse in the world by the extremely popular website Mental Floss. Last March the Commissioners of Irish Lights handed over the lighthouse to the care of Forbairt Fhánada Teoranta who manage and promote the site as a top class tourism destination. They offer guided tours of the lighthouse, regaling tourists with tales it’s long history as well as offering 3 self-catering accommodations for tourists looking to stay somewhere really special.